*Prize draw is open to both current and new students. T&Cs apply. Select which campus you are or will be studying at, to view the accommodation available. If you are new to Ulster accommodation, you will need to register an account in order to book your accommodation. If you are already living on campus and have an account please proceed to the login page and book your accommodation. Why do students return to live on campus? Living on campus has some great benefits. It gives you independence, a great social life, a safe and secure environment as well as contributing positively to your studies. 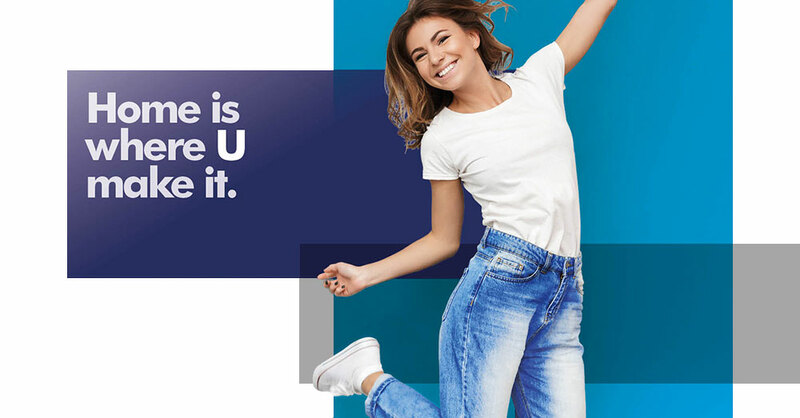 Prize draw is open to current students of Ulster University and new students starting in September 2019 at all four campuses – Belfast, Coleraine, Jordanstown and Magee. The prize consists of 1 x free rent for academic year and 3 x runners up prizes of £1000 off their accommodation fees. The prizes cannot be transferred to another student. The lucky winners of the 3 x £1000 off their accommodation will receive a credit on their account for their contracted room or can opt to upgrade their room choice (subject to availability). The winner of the accommodation free for a year will receive a credit on their account for their contracted room type only. Any payment already made by the first prize winner will be refunded. This excludes the £100 booking fee which is non-refundable. For runner up prizes, a refund will only be applied if the winners have overpaid when the prize money is credited to their account. The winners will not be eligible for a refund of the equivalent prize money in the event they leave university accommodation before the end of the 37 week contract. All winners will agree to take part in all promotional activity associated with the prize draw. This promotion is in no way sponsored, endorsed or administered by, or associated with Instagram, Facebook or Twitter. Any questions, comments or complaints regarding the promotion will be directed to Promoter, not Instagram, Facebook or Twitter. The Promoter reserves the right to amend, alter or terminate this promotion at any time due to circumstances beyond their control. The decision of the promoter is final and binding and no correspondence will be entered into.